The 2017 Land Rover Range Rover Evoque trims offer something for everyone. The introductory trim has an MSRP of just $41,800, and each iteration offers confident performance and premium technologies. At the top of the trim ladder, this compact luxury SUV rivals anything on the roads in terms of athletic driving dynamics and advanced cabin features. Find the trim for you in the Evoque inventory at Land Rover Princeton. This and all trims are powered by a turbocharged 2.0L four-cylinder that produces 240 hp and 250 lb-ft of torque. Standard features include alloy wheels, an 8-inch touchscreen infotainment display, 8-way power front seats, and leather upholstery. This trim adds adaptive Xenon headlights and a panoramic sunroof on the outside. Additions to the cabin include nicer leather upholstery and driver seat memory functions. MSRP starts at $45,800. This trim comes with an 11-speaker Meridian audio system, larger alloy wheels, automatic high beams, and heated front seats among other new features. The MSRP remains accessible at $51,000. This trim drives like a dream thanks to an adaptive suspension and front sport seats. It also stands out thanks to distinctive exterior styling and textured aluminum trim. The MSRP starts at $54,200. If you want everything mentioned above and more, the Autobiography trim is ideal. It has a starting MSRP of $62,500, but offers an elite experience to drivers in Flemington. The exterior adds 20-inch alloy wheels, adaptive LED headlights, and a number of advanced safety features. The cabin is equipped with 14-way front seats with massage capabilities, a surround-view camera system, a 17-speaker Meridian stereo, and much more. There are plenty of reasons to own an SUV, and the latest Evoque is one of the top luxury models on the roads of Bridgewater right now. 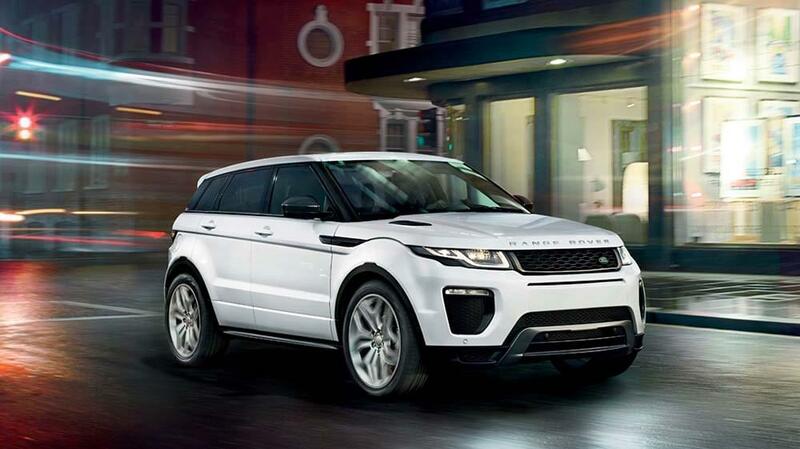 Visit Land Rover Princeton to explore this model in depth. When you find a trim that suits your needs, our financing team is eager to get you approved. Plan to visit us soon, and contact us if you would like more information.